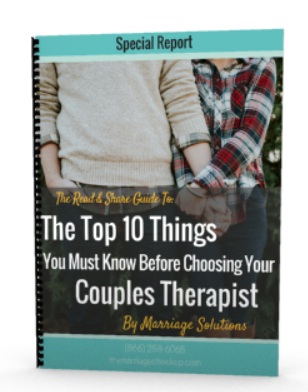 How Much Is Couples Counseling? We have two different paths for counseling. You can come weekly for a few months or you can get it all done in a couple of days. Contact us to learn more. How Much Is Couples Counseling? Counseling hourly rate starts at $100/hour. But it depends on the therapist you choose. Get started with this quick quiz to find the right solution for you HERE. Payment plans are available through PayPal Credit. This is one of the most asked question people have. We totally understand why you would want to know....it's important to know the cost of counseling. Most of the time people really want to know they are getting the best care for their dollar. No one wants to pay too much or get too little. Surely you want the best help and for the best deal. That is what we offer at our Tulsa and OKC locations. We offer the very best service, product, and outcome for your money. How do we do that? We have the highest standards for couples therapy in the state. We only use research based methods with outcome studies showing that what we are doing works. We have a number of different payment options. We have two different paths for counseling or coaching. You can come weekly for a few months or you can get it all done in a couple of days. The hourly rate varies based on the skill level and experience of the person you choose to see. Start with the quick quiz that will get you to the right option HERE. All the payment information is outlined and explained on the video page of the online orientation. Don't worry it's free and will help you right away. At the end of the orientation you will be able to set your first appointment and you will likely be able to find an appointment within a few days or within a week or so. We have two locations, one in Tulsa and one in OKC. No one wants to feel like they're over paying for anything. No one wants to feel like they've been taken advantage of or have been tricked into buying something they don't need. Most people understand that you pay a specialist rate for a specialist and a generalist rate for a generalist. Why is that? Well because the value of what you receive is greater. It should be greater, right? But there are times where you really need something but you just can't afford to pay out of pocket at the time you need it. We totally get that. That is why we have partnered with PayPal Credit. PayPal Credit offers 6 month no interest financing. Now you can pay as you go with PayPal Credit or you can pay in advance for a discount. Complete the application and check your e-mail for the confirmation! View our FAQ's and Resources page. We also have a blog section that includes helpful articles.